Discover a mystical riches with the Shaman’s Dream Slots Game at Vegas Spins! Spin through 5 rich Reels past Stacked White Wolf Wilds, Dream Catcher Scatters, FREE Spins, Games, Gamble Bonus Features and Multipliers! 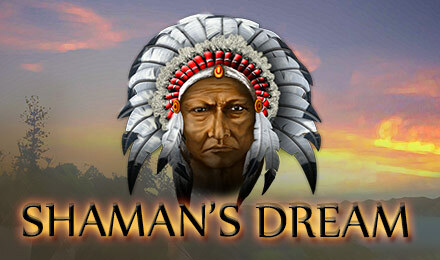 Explore the Native American themed Shaman’s Dream Slots Game at Vegas Spins! Spin through 5 Mystical Reels of Native American themed symbols to uncover Stacked White Wolf Wilds, Dream Catcher Scatters, FREE Spins, 15 Free Games, Gamble Bonus Features and Multiplied riches!